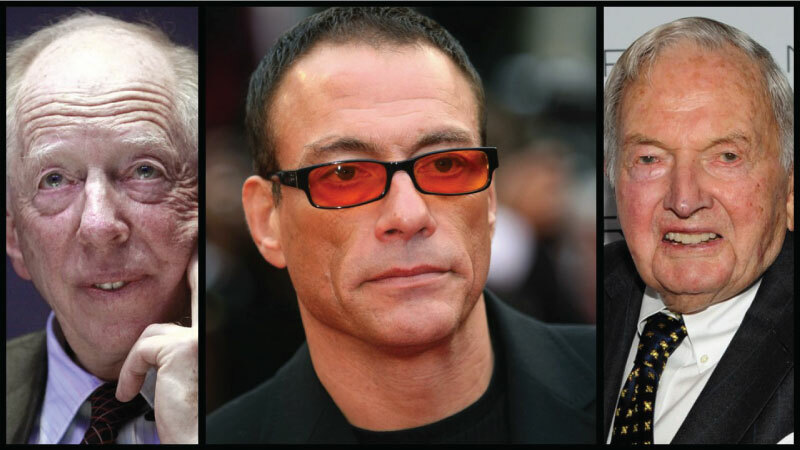 Jean-Claude Van Damme exposed the Rothschild and Rockefeller families! Appearing on the French television show, Le Grand Journal, Van Damme just showed the world that even he is aware of the control and power these families have over the world. First he got his attention when they talked about Ted Cruz and Donald Trump with his words: “Well, they are not going to win”. Although he was invited to talk about the US elections, the actor had other ideas, he quickly hijacked the narrative and began talking about “the people above” the politicians who “control continents”. He went on to explain how the Rothschild and Rockefeller families control the politicians and run the world from behind the scenes. “You still have the Rockefellers… people like the Rothschilds, those big families that dominate continents. So it’s not even France we’re talking continents… these are families that rise in 1827 with 5 sons that expands, it’s above everything we’re talking tonight,” said Jean Claude Van Damme. Just take a look at this video! If you like the story, don’t forget to SHARE this video with your friends and family!